Glenknoll Principal David Cammarato speaking at the school's 50th anniversary celebration on Thursday, April 4, 2019. 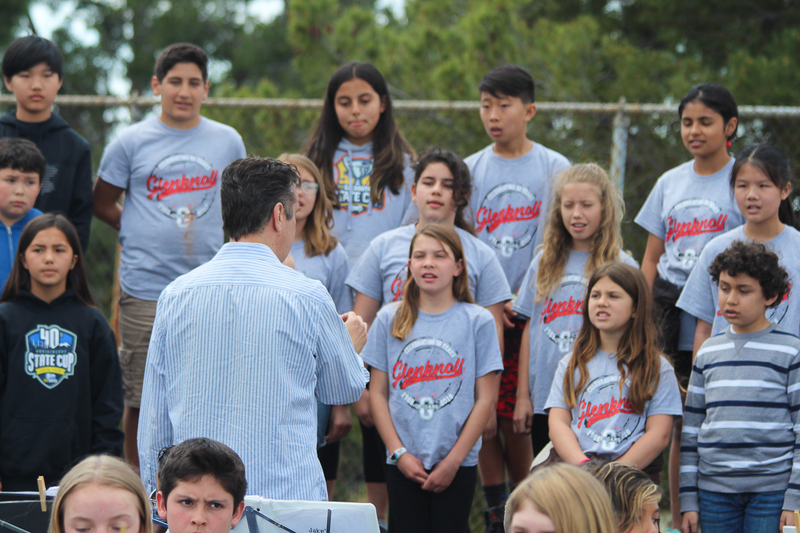 On Thursday, April 4, Glenknoll Elementary School in Yorba Linda celebrated its 50-year anniversary with a special ceremony for current students, alumni, past and present employees, and community members. The campus first opened its doors in 1968 and was the eleventh school built by the Placentia Unified School District during a rapid expansion era that began in 1959. The original name of the school was set to be Valley View Elementary because of the sprawling views the campus offers. 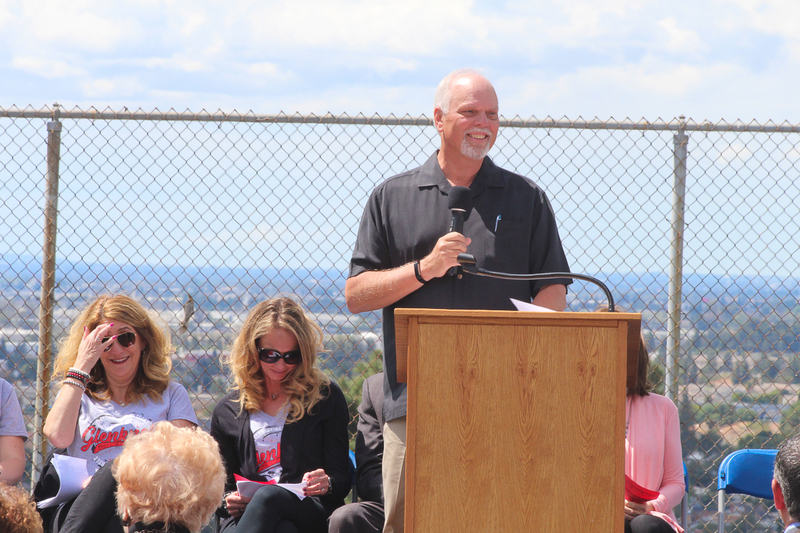 During the event that day, Principal David Cammarato welcomed the audience and introduced honored guests including Placentia-Yorba Linda Unified School District Trustees, Karin Freeman and Judi Carmona, as well as Superintendent, Dr. Greg Plutko, and Deputy Superintendent, Candy Plahy. Attendees were then led in the flag salute by Boy Scout Troop 851, as well as a patriotic musical performance by the school’s choir. Principal Cammarato then addressed the crowd and spoke about the positive impact Glenknoll has had on their school community over the years. 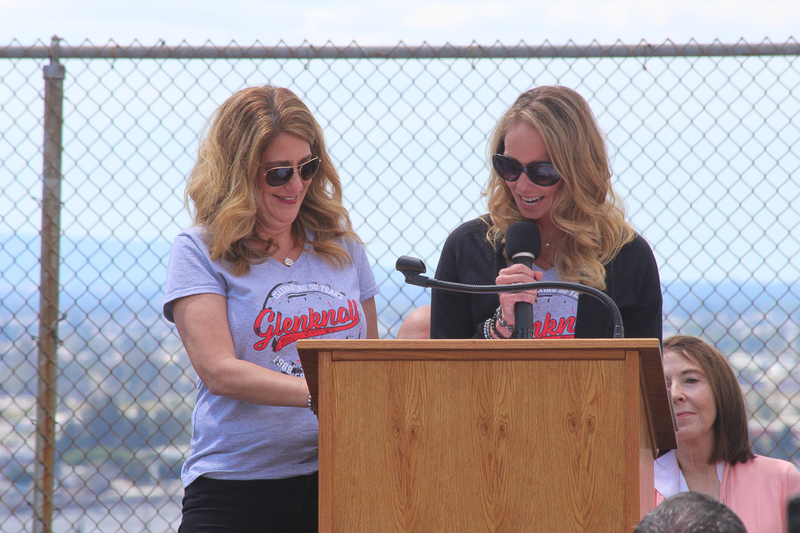 Former students and current teachers, Jackie Deano and Amy Huhn, speaking at Glenknoll’s 50th anniversary celebration. 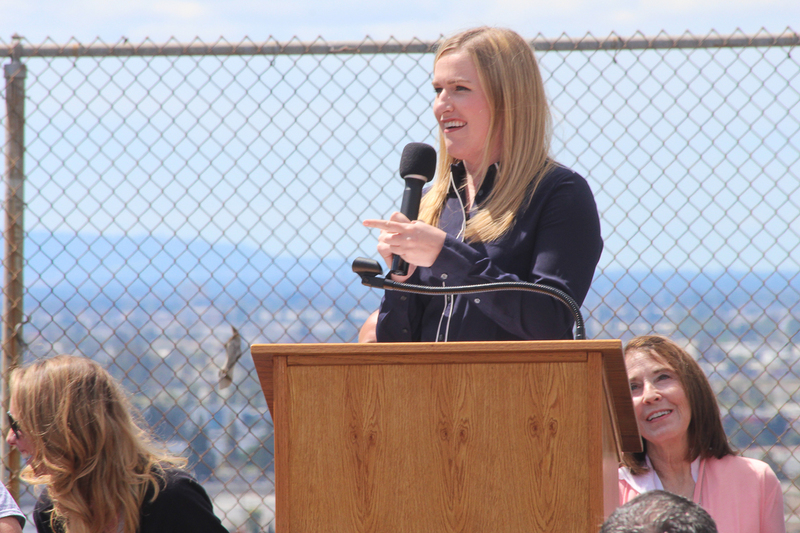 Guest speakers also shared about their personal experiences and expressed their appreciation for the school. 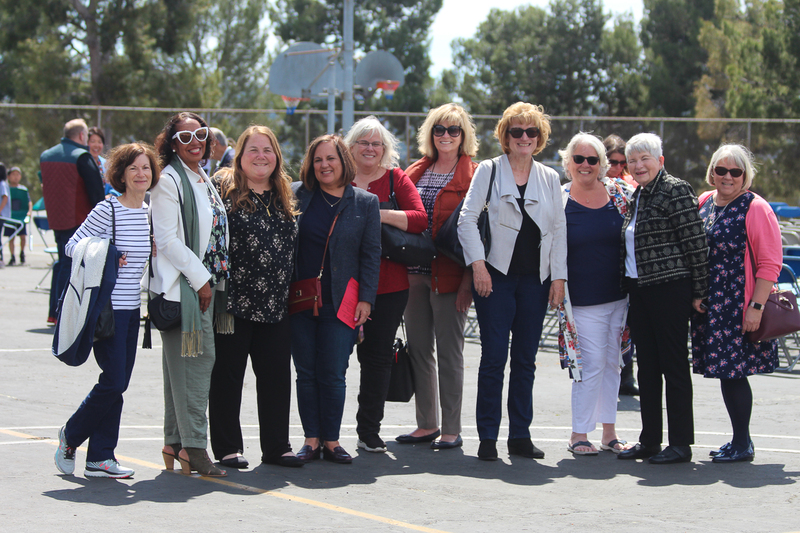 This included former students and current teachers, Jackie Deano and Amy Huhn, and Brett Barbre, a Class of 1976 alumni of Glenknoll and the current President of the Municipal Water District of Orange County. Former principals Doug Slonkosky (2009-2016) and Nancy Blade (2006-2009) also addressed the crowd with stories of their own time serving as the school’s leader, and the friendships and experiences they gained along the way. 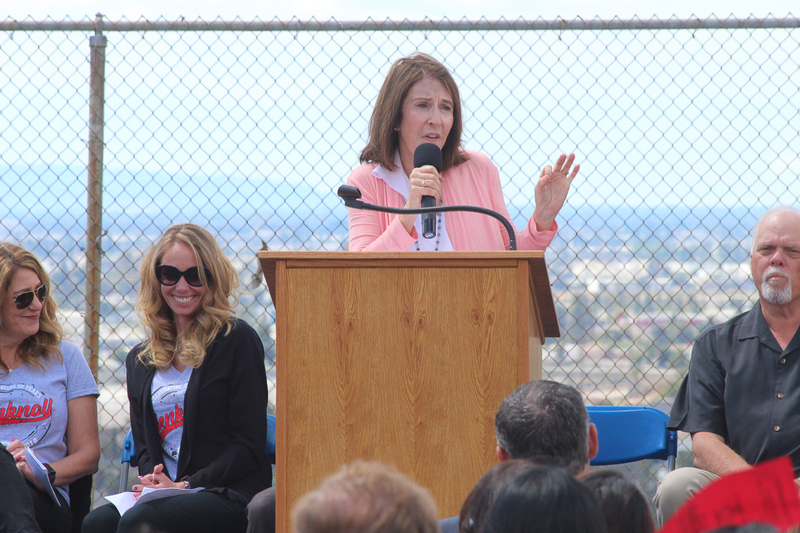 Yorba Linda Mayor, Tara Campbell, then spoke and congratulated Glenknoll on the significant accomplishment of reaching the 50-year mark. 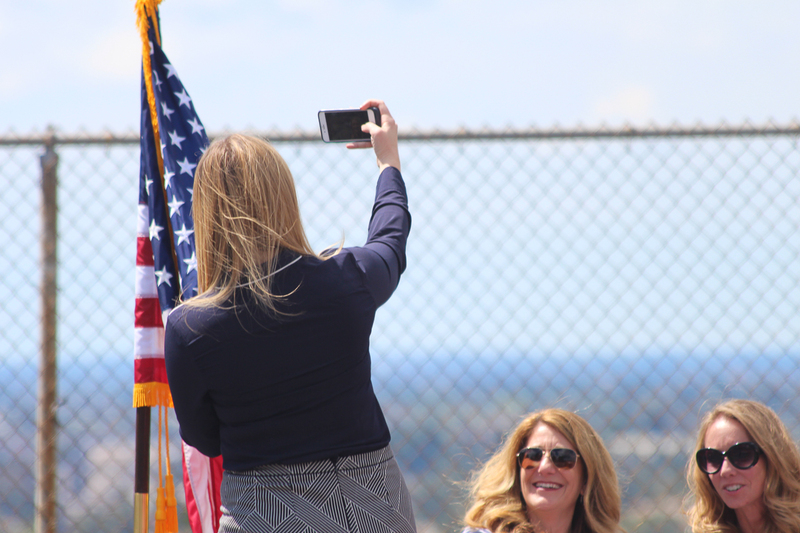 On behalf of the city, she presented Principal Cammarato with a certificate of recognition and even snapped a selfie or two with the crowd. 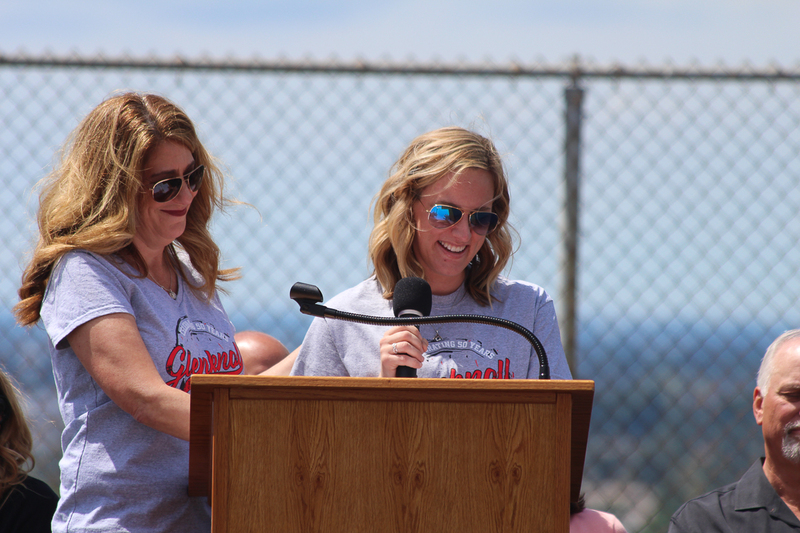 Before the school’s student band performed to close the ceremony, teacher Wendy Chastain read an original poem she wrote about her beloved school. Guests then adjourned to the multi-purpose room to enjoy memorabilia from the past, refreshments, and a chance to reconnect with familiar faces from the school’s past and present. 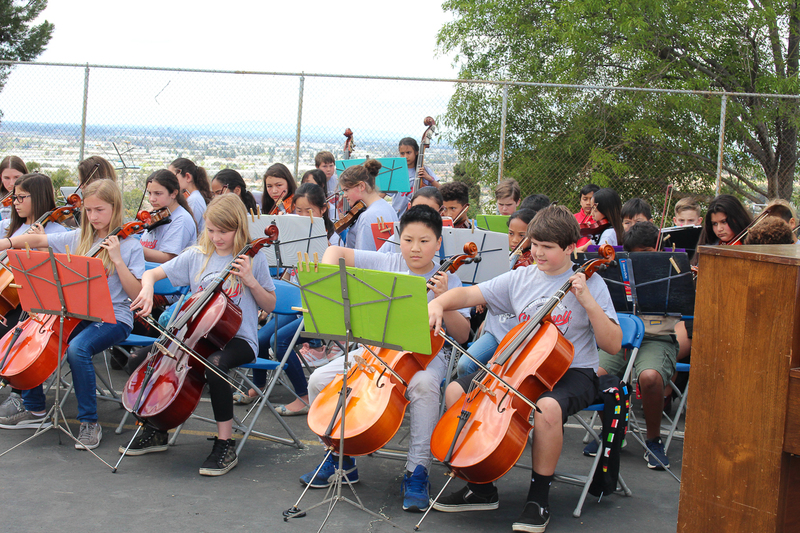 Congratulations and happy anniversary, Glenknoll! Mayor Campbell snaps a selfie at Glenknoll’s anniversary celebration. 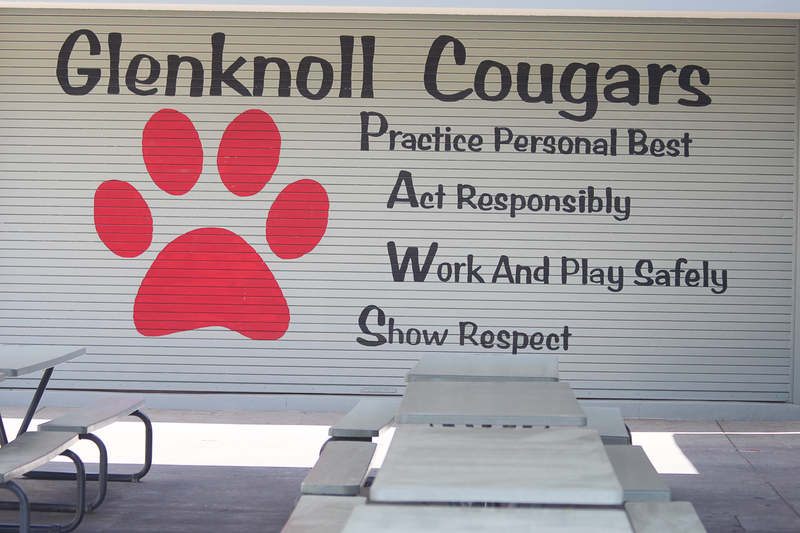 Be the first to comment on "Glenknoll Elementary School commemorates 50 years"